The Centenary Suzuki School strives to offer the highest quality string instruction in the State of Louisiana by starting children at the earliest age possible, using the Suzuki method as well as traditional materials such as scales, etudes, and supplemental pieces. Key components are: involved parents, well-trained teachers, and weekly private and group classes. Through weekly note-reading experiences in theory, orchestra, and chamber music, we seek to develop well-rounded musicians. While our plan is to sufficiently prepare students who choose to pursue music degrees, our broader goal is to promote a life-long love of music, either through participation in music-making, or through attendance and support of performances of various musical institutions and organizations. Through music study involving the Suzuki approach, our highest goal is to aid in the development of good citizens and to foster a sensitivity to all that is beautiful in life. 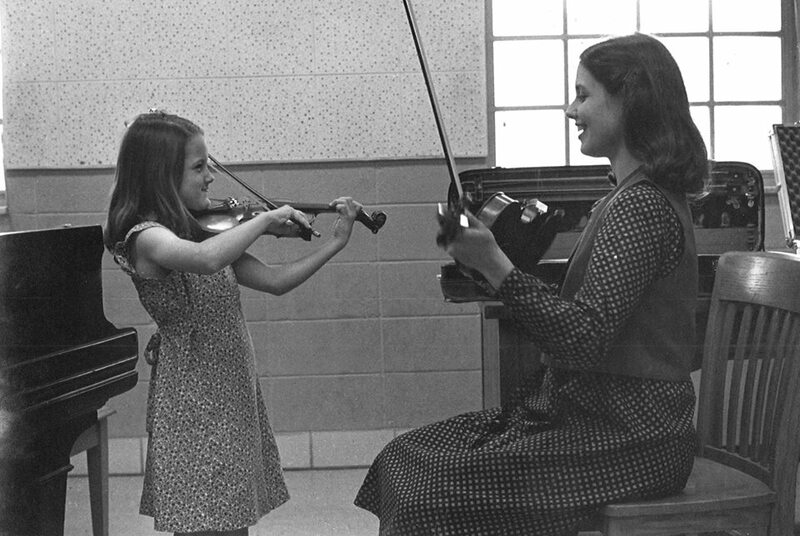 In 1977, Mrs. Laura Crawford began the Centenary Suzuki School by recruiting students through kindergarten teacher friends, then knocking on the doors of unsuspecting prospective violin students and inviting them to take violin lessons. Armed with her “Fuller Brush Kit” of miniature violins, a record album of the Suzuki Book 1 music, and a picture/poster of her young University of Texas (Austin) students, she recruited ten students and eager parents to begin her violin program. The CSS was built on the model of the U.T. String Project started by Phyllis Young. Today the program continues to train future generations of classical music lovers with its current enrollment of around 140 students instructed by eight trained Suzuki teachers in violin, viola, and cello. Mrs. Crawford and the CSS faculty have educated over 1500 alumni who have become outstanding professionals in their fields, and often Suzuki parents to their own children. The Centenary Suzuki School, based at the Hurley School of Music on the campus of Centenary College of Louisiana, is the only college-affiliated Suzuki program in the state of Louisiana. Each CSS family commits to a weekly private lesson with their teacher, a group lesson on Tuesday afternoons at Centenary’s Hurley School of Music building, and daily listening and practice of at least 20 – 30 minutes. In agreement with the Suzuki philosophy (see below), a parent is expected to participate in each practice session and lesson. Tuesday group lessons include two classes: a repertoire class and a theory or orchestra class. Repertoire classes, assigned using Suzuki book level, are intended to advance and reinforce technique on the instrument, as well as encourage memory of learned pieces using games with peers. This is also where we do our public performance preparation. Theory classes teach our younger students the basics of reading music. 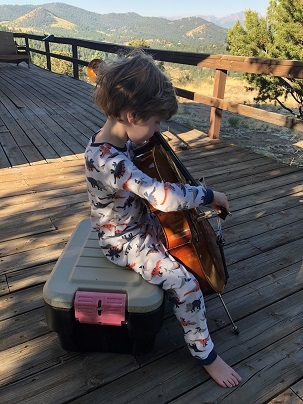 Once the children have fluently learned theory basics, they are placed in a succession of orchestras: Elementary (least-experienced music readers), Intermediate, and Chamber Orchestra (high school and most advanced). The Centenary Suzuki School performs every year at the Red River Revel Arts Festival in downtown Shreveport, as well as at a couple of area nursing homes around the holidays. CSS volunteers have also performed for runners for Holy Angels’ “Run with the Angels” and select other events. In addition, we have many recitals at the Anderson Auditorium in the Hurley School of Music on Centenary’s campus: orchestra concerts in December and April, Graduation recitals in October and March, a large end-of-year group gala concert in May, and series of solo recitals in late May. CSS students are often chosen for principal chairs in the local magnet school orchestras, and the Caddo Magnet High School Orchestra consistently provides more than half of the string players chosen for the Louisiana All-State Orchestra. Over the past decade, more students from CSS have made the National High School Honors Orchestra than from any other area of the state. Through their musical and academic excellence, our former students have gained admittance to the following institutions among others: Baylor, Brown, Centenary College, Cincinnati Conservatory, Emory, Indiana University, Johns Hopkins, Mary Washington, Northwestern (Chicago), Notre Dame, Princeton, Rhodes, Rice, Stanford, SMU, TCU, Texas A & M, Tufts, Tulane, University of Houston, UNC-Chapel Hill, Vanderbilt, Yale, MIT, and various other Louisiana universities. Our graduates work as professional musicians, physicians, lawyers, computer professionals, Peace Corps volunteers, Fulbright scholars, accountants, dentists, and parents. Many who have gone into other professions continue playing their instrument and contribute their talents in community orchestras and churches. Others continue to cultivate a lifelong appreciation of music as concertgoers. For more information and answers to specific questions, please contact us! To develop a sense of musicianship. To contribute to the overall development of sensitive and accomplished men and women. These goals are based on the assumption that ALL children can, with proper teaching, proper environment and encouragement, develop the motor skills necessary to master the technical requirements of their instrument, just as all children can learn their “mother tongue” and be taught to read.